Let me reply to the Related Posts (linked below) in this lengthening conversation on amphibious operations. I’ll reply mainly without restating arguments. 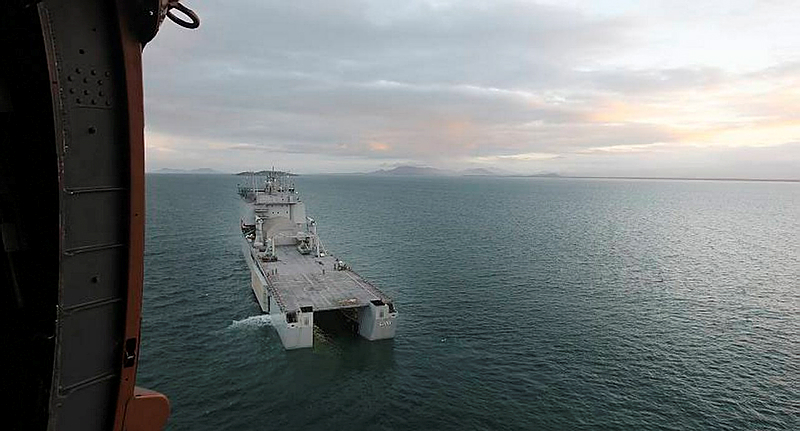 The DWP2013 gives weight to combat operations, seeing a role for amphibious ships ‘in some circumstances’ across the spectrum of operations. 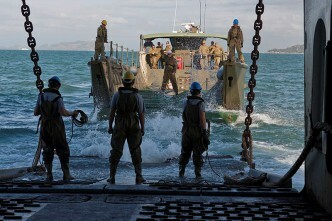 Defence will therefore need to expand its amphibious horizons further along the spectrum to meet government direction. It seems to be hard to hold the view, as Andrew Davies does, that ‘reality (that is limited tasking for the LHDs) has intervened’. This reality is defence setting themselves reasonable initial objectives, but that shouldn’t be where they stop. The operations envisaged by DWP2013 require confidence that ships and troops will be not face unreasonable risk. 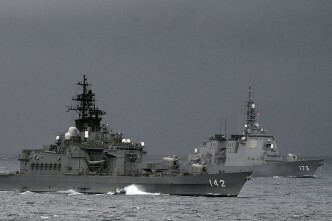 Amphibious operations are likely to be conducted as part of power projection. The level of protection given to the amphibious part of power projection might have to be substantial (conceptually, no problem there) and the time it takes to establish the pre-conditions might be long. You have to make the assumption that someone with some operational nous (an experienced joint Operator) is defining the strategy in to which the power projection fits and of which amphibious operations is part. If you use any capability stupidly, you’ll lose it. But depending on the willingness to accept operational risk (a function of the importance of the task? ), and the ability to reduce risk (a function of the operational assets available? ), the LHDs fit well within power projection. Physics tells us that if air cover is needed, and only Australian airpower is available, then that’s limited to within about 1000 km of a major airbase. But that base might be anywhere in the world. The ships can only land a few thousand troops, true. But amphibious operations within power projection aren’t just the LHDs. If needed, they’ll be part of a force that has attack and transport helos, sustained air cover, tanks and artillery, naval gunfire support, inserted SAS to control strike and air inserted commandos, plus follow-on forces on non-LHD ships, as well as air-landed assets. 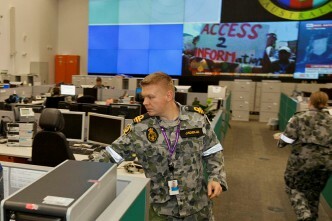 If you make the heroic assumption that everything that the ADF has or plans to have, will be acquired and actually work, then at some stage in the future, if funded, the ADF could conduct most effective power projection (part of which is amphibious ops) and then most effective land manoeuvre. Andrew limits himself to a narrowly defined region for LHD use, but the DWP is very expansive in talking about the IndoPacific, while Peter Layton is prepared to consider the Middle East for certain tasks. Who knows where these ship will operate, but they should be prepared to operate most places. If we’re going to spend money on subs, we must think that there’s some chance of hostile subs operating against our interests. If we ever had to surge our anti-submarine capability then surely the LHDs, as part of a larger ASW force, should be an optional platform for massing anti-submarine helicopters? I’m not the first one to suggest that idea (PDF, paywalled), but if it’s feasible, let’s not wait till ten minutes to midnight to think about it. The LHDs are a catalyst for increasing jointery. I have concerns about the ADF’s current ability to conduct anything much more than very simple joint operations, which is inappropriate in a period of such uncertainty. If we arbitrarily limit our thinking, we’ll miss an historic opportunity. 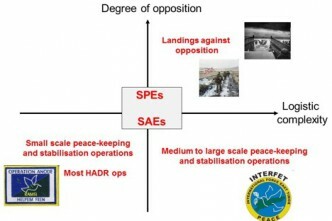 Andrew’s risk model uses the term ‘landing against opposition’ and in the pictures and text he assumes a Normandy/Falkland style operation. The Falklands war did not see ‘landing against operations’ in a Normandy sense, but a series of (sometimes imperfect) operations to create the conditions for landings forces where the enemy were not, followed by joint land manoeuvre. This is not Goldilocks, but history. I agree with Peter Layton that ‘keeping the LHD afloat in the face of a sophisticated enemy would indeed be a very demanding joint warfare task’. But it’s not an impossible task, and should be within ability of the ADF, and it should at least be used as a stretch objective. Ensuring they aren’t sunk is what ‘establishing pre-conditions’ is all about. Peter’s view that ‘often only one (LHD) would be available for ops’ could be true but I wonder how that sits with the views of generations of naval officers that, in a defence emergency, ships in maintenance could be operational in weeks or, at worst, months. If we have to do power projection ops involving shorter warning periods than that, we’re in desperate trouble. This isn’t a legitimate excuse to limit our thinking on LHD. I also reject Peter’s view that ‘LHDs appear to be more suited for operations-other-than-war than for warfighting’. LHDs are warships, and the Navy and Airforce may have a task to protect them, but their secondary role could be OOTW. I also disagree with Peter’s logic that ‘using them (LHD) in a major conflict would be a difficult, uncertain business with limited payoff’. If it’s so difficult and uncertain, it could equally have a massive payoff. Also, I don’t agree that LHDs don’t have a key role in (the most unlikely task of) ‘defend[ing] Australia from invasion’. Should invasion occur or be threatening, the options that such ships might provide as part of a defensive or pre-emptive strategy, should complicate any enemies plans in considering a landing, or what an enemy does after a landing. Finally, I totally agree with Ben Schreer and Robert Ayson that a combined ANZAC maritime force should be considered. It expands options. The final questions that Ben and Robert put are exactly those which both nations need to consider, especially if NZ sees a need in the future to get back into a higher level of warfighting. Jim Molan is a retired Major General in the Australian Army and is a commentator on defence and security issues. Image courtesy of Defence.